With the UK finally moving into warmer days (which hopefully will last longer!) most of us will want to have a nice glowing looking skin, so I thought I put together a little ‘Radiant Skin’ series, that will feature highlighters, blushers & bronzers and foundations & tinted moisturizers. 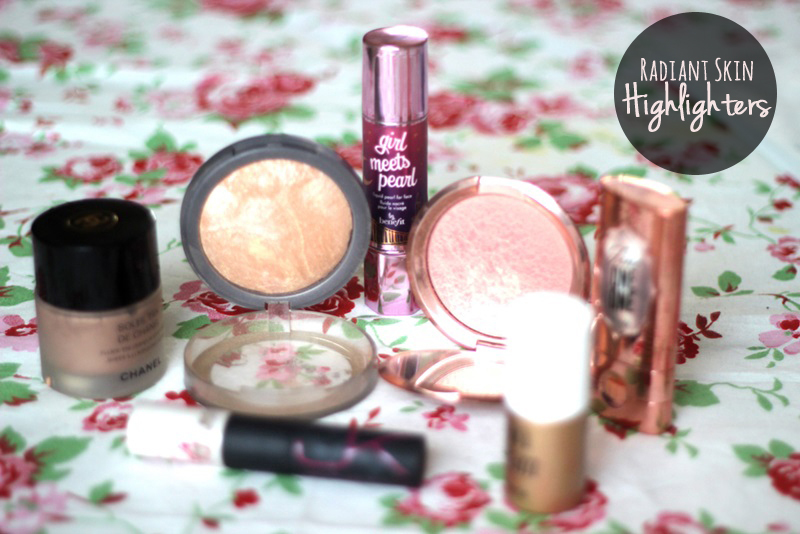 So let’s kick off with highlighters – which I try to wear everyday, so I guess this might be useful all year round! What are your go-to highlighters? Anything I should try? Great blog post – I love highlighters.